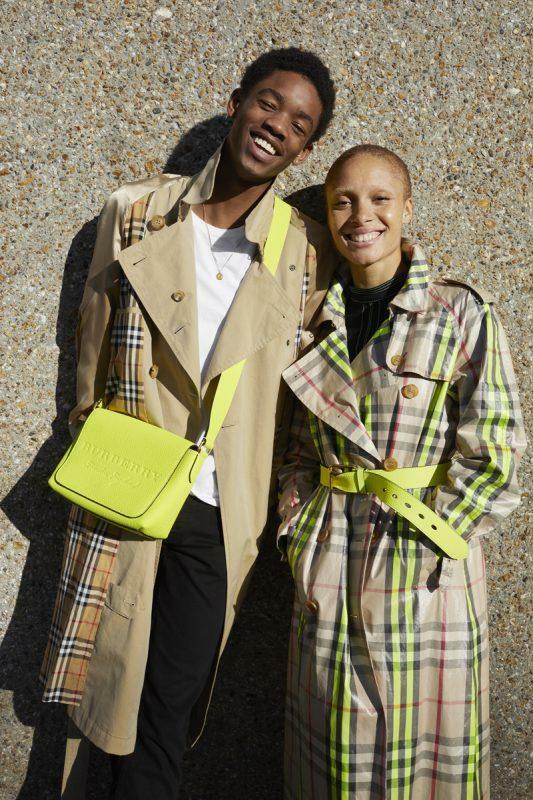 Burberry unveiled a new collaboration with British model and activist Adwoa Aboah and photographer Juergen Teller commissioned by Burberry’s president and chief creative officer Christopher Bailey. The first four photographs released feature Aboah with her friends and family, including her cousins Alfie Husband, George Husband, Richard Theodore-Aboah, and Kwame N’Dow as well as Montell Martin and Mae Muller. Aboah and her squad were shot near Regent’s Canal in North London in Burberry pieces like The Doodle print reach, The Giant check tote, the brand’s laminated trenches and bubble gum pink shearling. The four photos released today are part of a larger series of images for the brand, which will launch in full from the 26th of December. Another portfolio of images will be released in February 2018.